On September 24, 2007, I lost my baby brother. 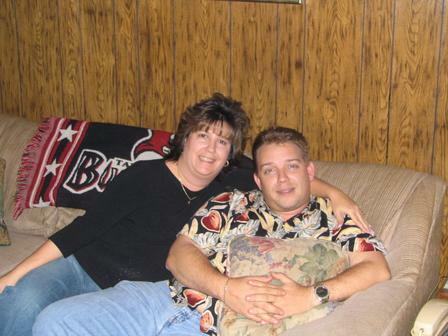 This picture of us was taken on Christmas Eve 2003. It's my favorite picture of us. Stephen committed suicide. We will NEVER understand why he felt this was the only way to end his pain. I pray for peace and understanding for my parents. This has been so unbelievable hard on them. Being a mother myself, I can't imagine losing one of my children. I do know that my brother loved his family and friends and we loved him too. He leaves behind a beautiful daughter almost 10 years old.